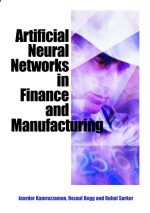 In this chapter, a neuroadaptive scheduling methodology, approaching machine scheduling as a control-regulation problem, is presented and evaluated by comparing its performance with conventional schedulers. Initially, after a brief reference to the context of existing solutions, the evaluated controller is thoroughly described. Namely, the employed dynamic neural network model, the subsequently derived continuous time neural network controller and the control input discretization that yield the actual dispatching times are presented. Next, the algorithm guaranteeing system stability and controller-signal boundedness and robustness are evaluated on an existing industrial test case that constitutes a highly nonacyclic deterministic job shop with extremely heterogeneous part-processing times. The major simulation study, employing the idealistic deterministic job-shop abstraction, provides extensive comparison with conventional schedulers, over a broad range of raw-material arrival rates, and through the extraction of several performance indices verifies its superb performance in terms of manufacturing-system stability and low makespan, low average lead times, WIP, inventory, and backlogging costs. Eventually, these extensive experiments highlight the practical value and the potential of the mathematical properties of the proposed neuroadaptive controller algorithm and its suitability for the control of nontrivial manufacturing cells.